This came in to being in January 2007. 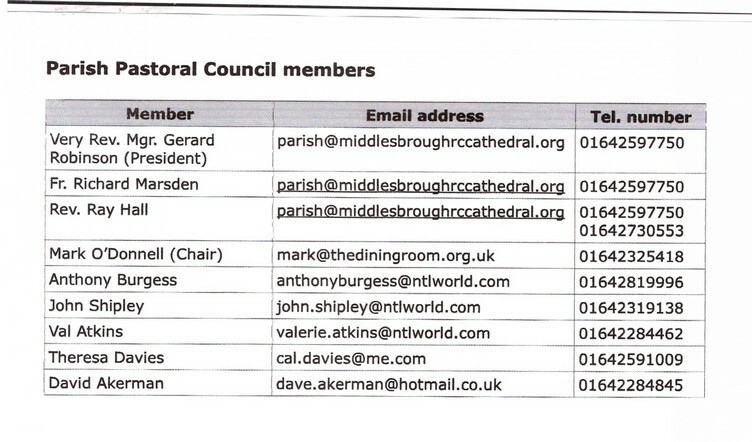 Nominally, it is a committee of 12 parishioners appointed by volunteering &/or election. We look to the members to remain on the committee for about 2 years to ensure some continuity of both thinking and action. "a pastoral council is to examine and consider all that relates to pastoral work and to offer practical conclusions on these matters, so that the life and activity of the People of God may be brought into greater conformity with the Gospel " .